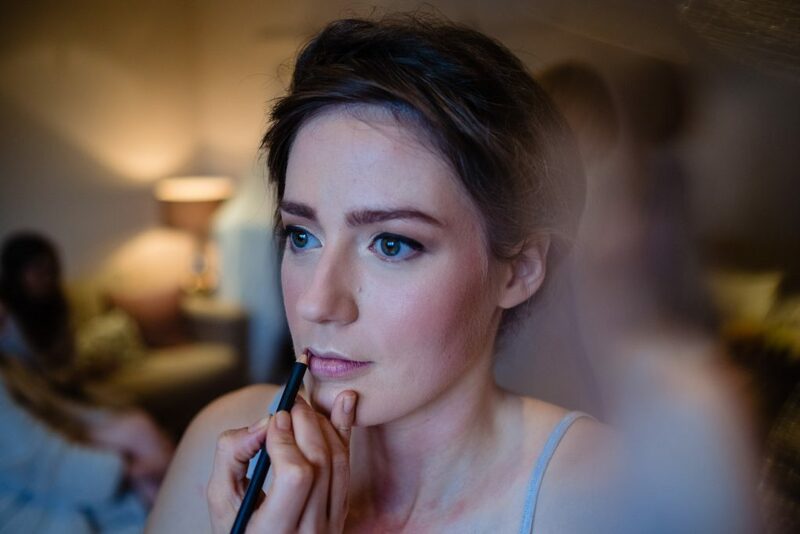 It was a pleasure to be invited to do Lizzie’s bridal makeup at The Curradine Barns, Worcester. Bob, her husband-to-be, was a childhood friend which meant it was even more special for me! And an even bigger honour to be trusted with Lizzie’s lovely face. 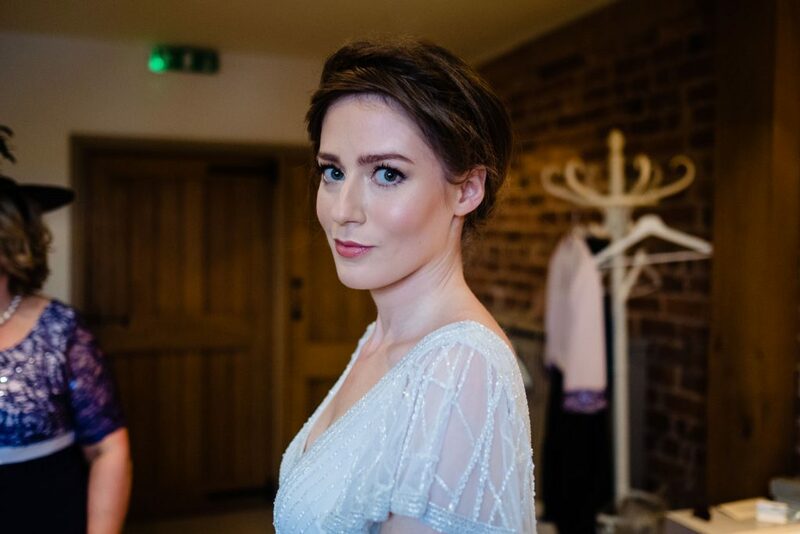 Lizzie wanted a fresh, radiant glow that worked well with her heavily beaded Eliza Jane Howell dress and beautiful plaited up-do created by Chloe Wardle of Tettenhall. So at her trial, we set about creating her a stripped back look that was in keeping with her styling but also looked like a polished version of herself. Enviably, Lizzie really didn’t need much help! Lizzie’s skin is pretty much perfect! So we didn’t need to use much to create a flawless base. We used a little Bobbi Brown Illuminating Moisture Balm mixed with with Estee Lauder Double Wear to create a base that wasn’t too heavy, had longevity, and kept that all important glow. Buffing in a light base of Bobbi Brown Illuminating Moisture Balm and Estee Lauder Double Wear. We added powder through the T-zone just to mattify, but keep a visible glow at all the right high points. And corrected and concealed with NARS Radiant Creamy Concealer under her eyes to add a ‘wide-awake’ kind of brightness. Lizzie has beautiful brows. And one of our biggest decisions was how to perfectly enhance them. 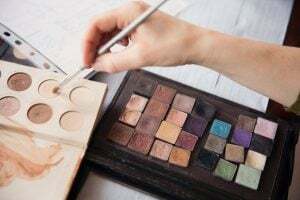 At the start of the morning, we used just a brow mascara on one and then a stencilling of eyeshadow in the other to help us make a final decision on what to do. We went with her natural brow coated once with a medium brown brow mascara to enhance them and set them into place for the day. Perfecting Lizzie’s pout with the tiniest amount of liner. Lizzie has the most amazing lip colour, and they’re full in shape. So all we opted to do was use MAC Soar liner to subtlely line them and then hydrated them with Elizabeth Arden 8 Hour Cream. We picked up the high points of Lizzie’s face with MAC Loose Pigment in Vanilla and put a shimmering gold wash of colour onto her eyelids. Et voila! Beautiful bride Lizzie’s finished bridal makeup look. The biggest congratulations to the loveliest of couples! Wishing you such a long and happy life together. 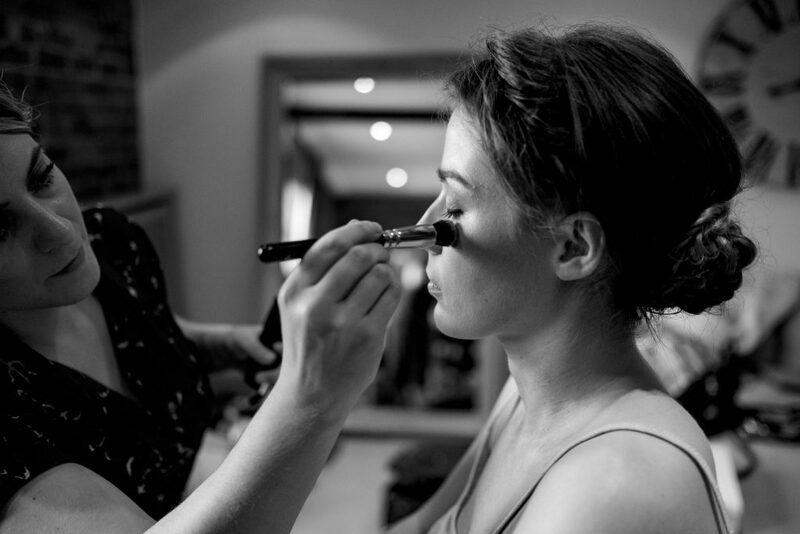 And a big thank you to photographer Andy-Li Photography for capturing some beautiful shots of Lizzie’s preparation! It was lovely to work with such a warm and welcoming husband and wife team.